Which actually happens several times every week. But it's not often that I get to be there to watch. Miss Ellie has got a case of the Spring fever- bad. This seems to happen to us- I travel a lot and when I am home, put a lot of pressure on myself to have THE BEST ride. Meanwhile Ellie uses this time to devise new ways to get out of work. Remember last year- refusing to trot and the "snake neck?" Yup- that resulted in a pricey saddle repanel while I tried to determine whether her lack of propulsion was due to discomfort. It was not. This year we're going somewhere (not fast- but somewhere)....except we're crooked. Both of us! And in order to maintain her crookedness she gives a little crowhop every time I actually manage to get myself sitting straight. A short necked horse with a round buck? It feels like a little more than a toss of the hips. 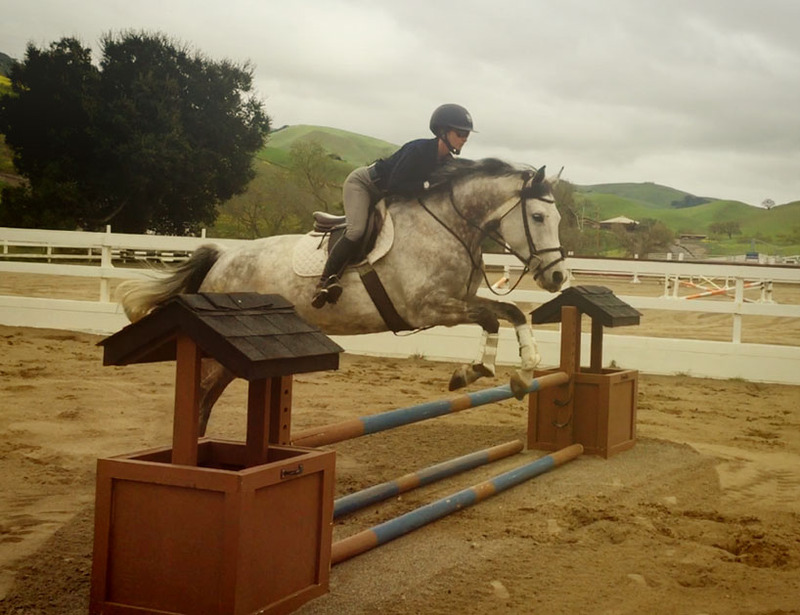 I actually said to Ali in a recent lesson, "It's really hard to ride to fence when the horse is bucking every stride." And then I got a classic Ali nugget of wisdom. "Ride the horse as if you're schooling for the owner. Take the emotion out of it." So I've been making a huge effort in recent lessons to not let the little sparks of attitude get to me, not to continue the fight, and to carry on quietly and firmly.